Deep Hydrografie en Geofysica | Deep Matters supports The Great Bubble Barrier in their fight against The plastic soup. 14 jan Deep Matters supports The Great Bubble Barrier in their fight against The plastic soup. 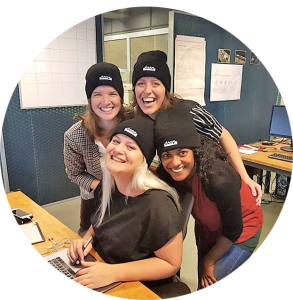 Three new faces at Deeps’ Office in Amsterdam-Noord; the ladies of The Great Bubble Barrier! Last year it came to the attention of Deep Matters that the “bubblers” developed a product that offers a solution for the litter that contributes daily to the plastic soup in the oceans. They have designed an innovative “screen” of bubbles that stops plastic waste in rivers and canals reaching the ocean. Deep Matters didn’t hesitate to help and approached these ladies on how to contribute to their mission. The answer: Providing a place to work! The co-founders of The Great Bubble Barrier were looking for a new office space and Deep was able to provide exactly that. 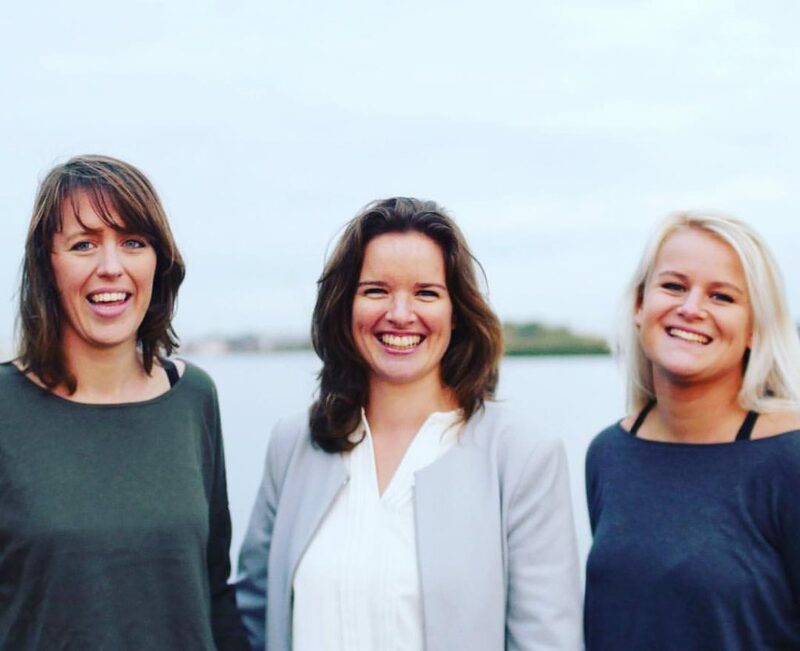 Francis (28), Saskia (28) and Anne Marieke (29) know each other from the sailing school in Aalsmeer where they used to teach during summer. All three of them are sailors and therefore regularly confronted with the impact of plastic pollution in our waters. It was in 2015, whilst in a bar in Amsterdam, that they first discussed the topic that a solution had to be found for plastic waste before it reaches the oceans. Why not, they wondered, create a “barrier” of bubbles which can stop the plastic in rivers and other waterways, so that it does not end up in our oceans? The Great Bubble Barrier (TGBB) was born. Three years now the co-founders are working full time for the social enterprise. Last September they were awarded with the first prize in the Green Challenge, one of the world’s largest competitions for sustainability entrepreneurs, winning 500.000 euro.“We have been talking to all parties involved for over two years now, from regional water authorities to the ministry. It also depends on finding the right persons within these organizations. “Currently TGBB is in contact with several potential customers, which concern not only non-commercial organizations”.